Members of the Muslim Brotherhood and supporters of ousted Egyptian President Mohamed Morsy clash with riot police during the swearing in ceremony of Adly Mansour as interim president in Cairo on Thursday, July 4. Egypt's military deposed Morsy, the country's first democratically elected president, the country's top general announced Wednesday. 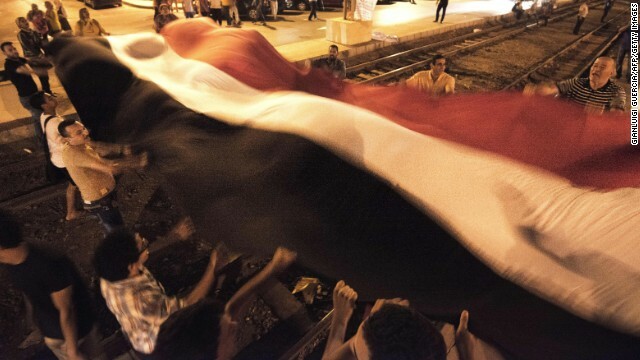 View photos of Egypt after the coup. 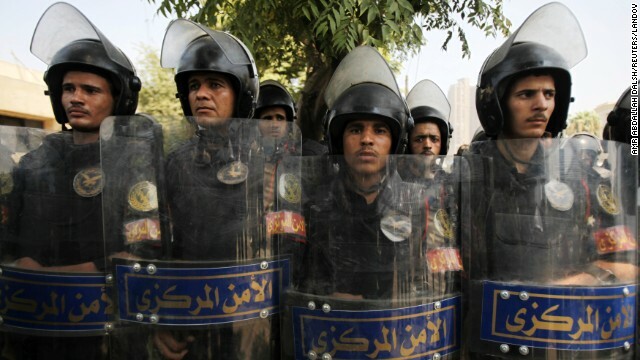 Riot police stand guard as members of the Muslim Brotherhood and supporters of Morsy protest in front of Egypt's Constitutional Court in Cairo on July 4. 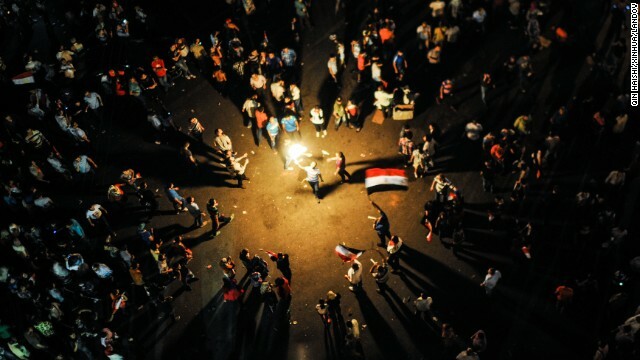 Protesters celebrate outside Egypt's Presidential Palace in Cairo on Wednesday, July 3. 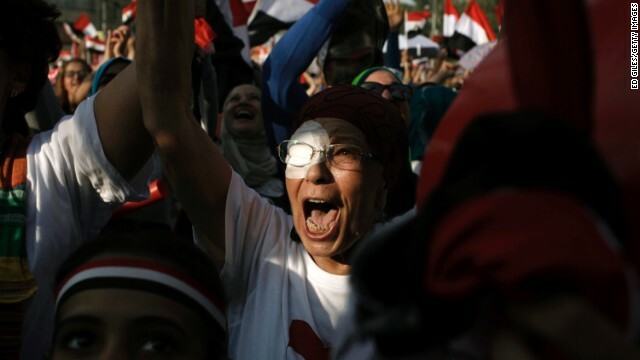 Protesters in Tahrir Square celebrate the news that Morsy was ousted on July 3. 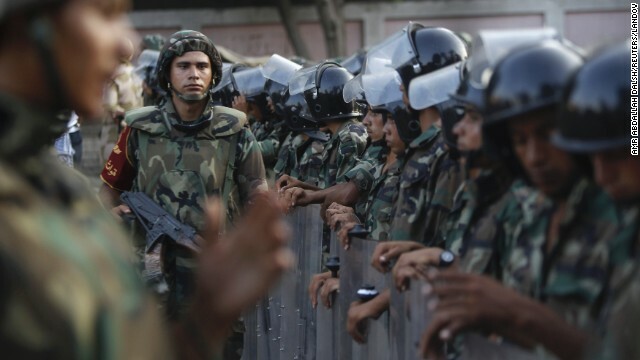 An officer gestures to protesters at the gates of the Republican Guard headquarters in the suburb of Nasr City on July 3. The Egyptian military gave Morsy a 48-hour ultimatum on Monday to accommodate his opponents with a power-sharing agreement or be pushed aside. Members of the Muslim Brotherhood and Morsy supporters react at the Raba El-Adwyia mosque square on July 3 after the Egyptian Army's statement was announced on state TV. 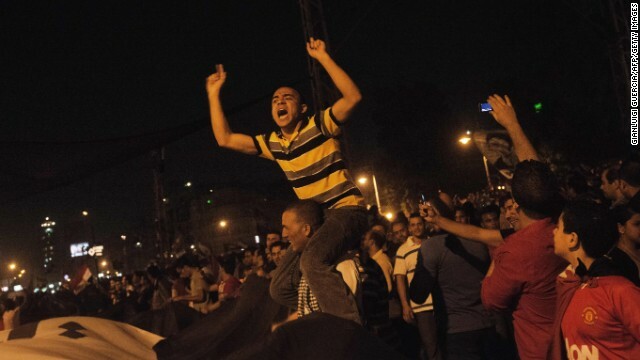 Protesters celebrate near Egypt's Presidential Palace in Cairo on July 3. 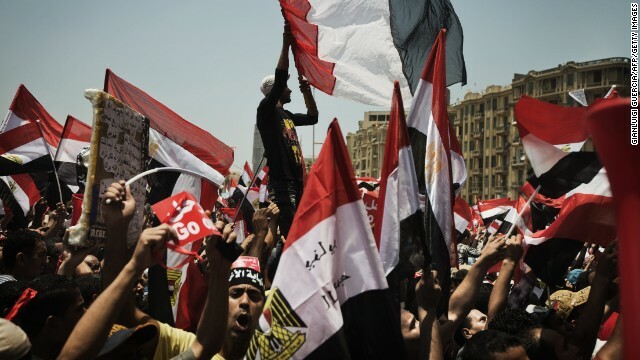 Anti-Morsy protesters wave flags in Tahrir Square on July 3. 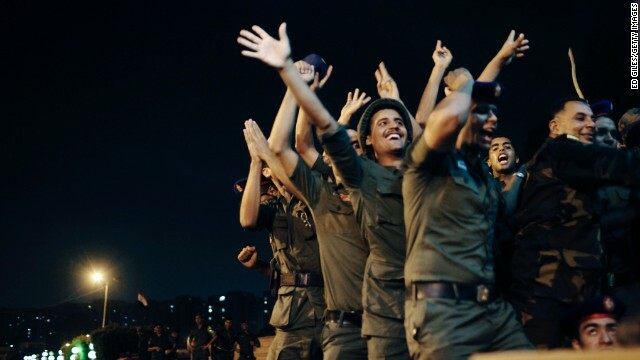 Officers of the Egyptian Republican Guard celebrate at their headquarters in Nasr City on July 3. 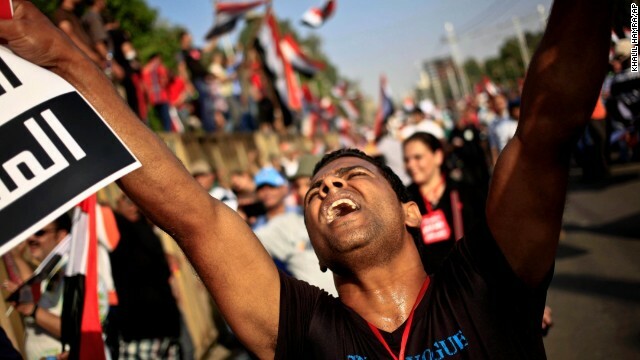 Opposition protesters celebrate outside Egypt's Presidential Palace in Cairo on July 3. 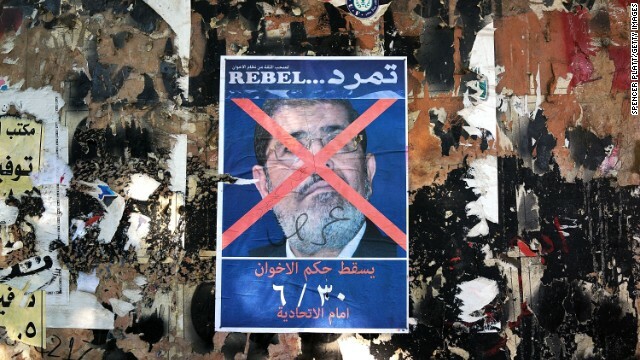 An anti-Morsy poster is displayed on a wall in Tahrir Square on July 3. 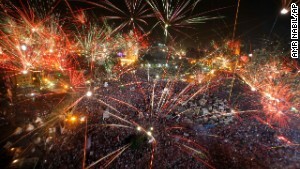 Opposition protesters celebrate on July 3, lighting flares and waving national flags in Tahrir Square. 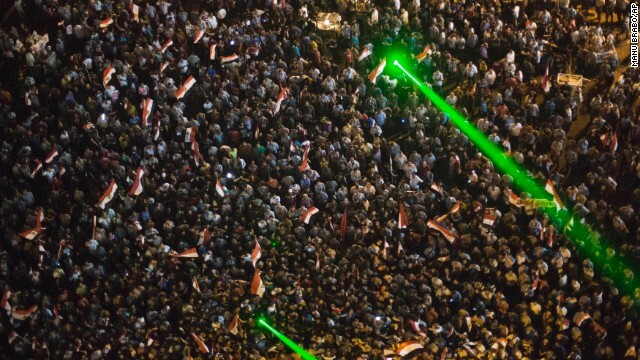 On July 3 in front of a symbolic coffin, green lasers illuminate opposition protesters performing funeral prayers for Egyptians killed during clashes between supporters and opponents of Morsy. Opponents of Morsy wave national flags during a protest outside the presidential palace in Cairo on July 3. 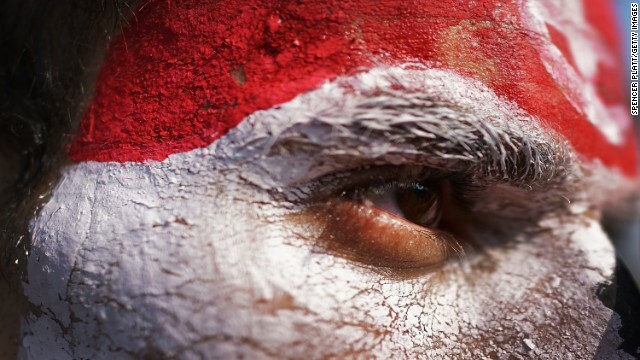 A man with his face painted the colors of the Egyptian flag looks out as thousands of protesters gather on July 3 in Tahrir Square. 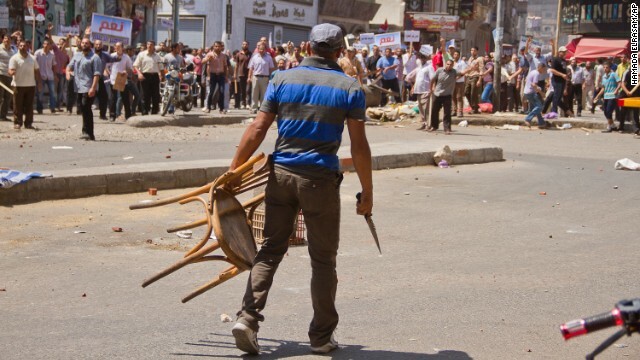 An opposition protester holds a chair and knife during clashes between supporters and opponents of Morsy on July 3 in downtown Damietta, Egypt, which is north of Cairo near the Mediterranean Sea. An opposition protester is beaten by pro-Morsy demonstrators during clashes in Damietta on July 3. 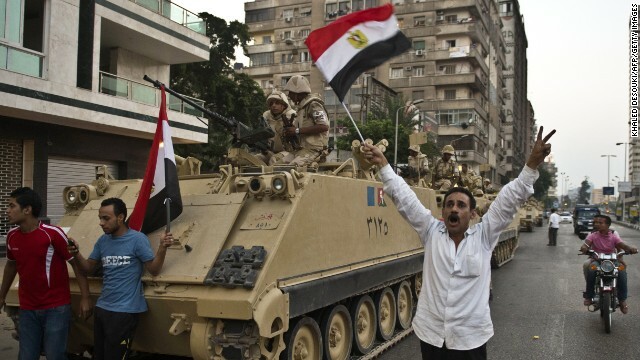 Egyptian Army soldiers take their positions in front of protesters near the Republican Guard headquarters in Cairo on July 3. 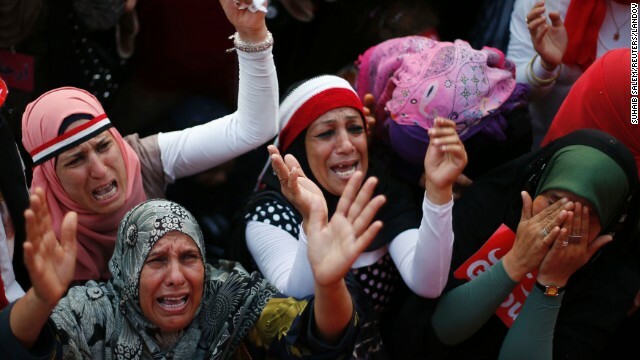 Women react to the flag-draped body of a victim (not pictured) who was killed during fighting outside Cairo University on July 3. 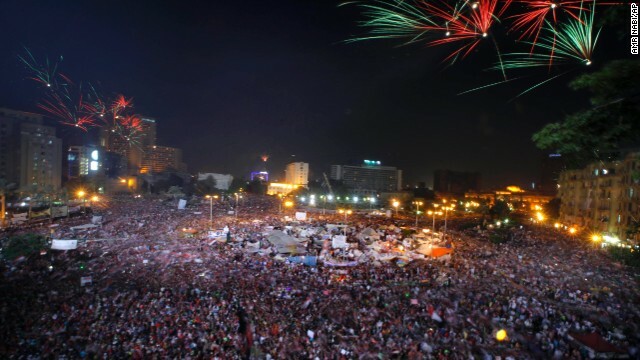 Thousands of Egyptian protesters celebrate in Tahrir Square as the deadline given by the military to Morsy passes on July 3. A supporter of Morsy holds a poster that reads, "The people support legitimacy for the president," during a rally in Cairo on July 3. 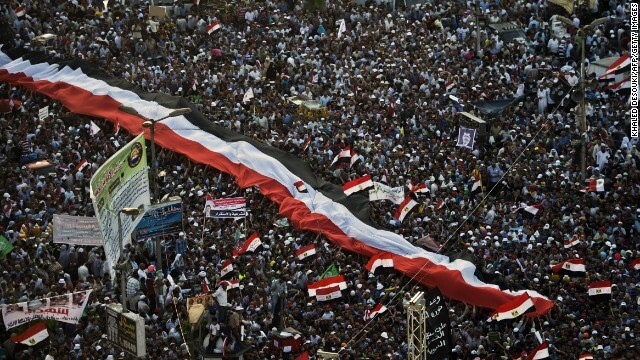 Thousands of protesters gather in Tahrir Square in Cairo on July 3. 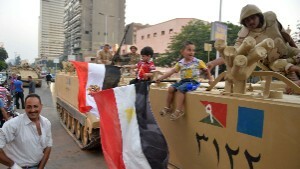 Egyptians salute Army tanks upon their deployment on a street leading to Cairo University on July 3. 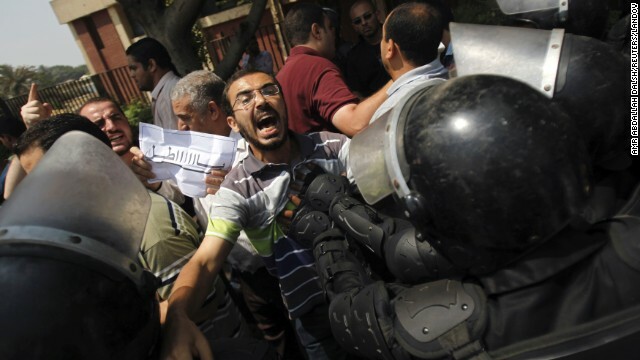 An opponent of Morsy chants slogans during a protest outside the presidential palace in Cairo on July 3. Egyptian special forces police stand guard beside an armored vehicle, protecting a bridge connecting Cairo and Giza, Egypt, where Muslim Brotherhood supporters have gathered, on July 3. Hundreds of protesters gather in Tahrir Square in Cairo as the deadline given to Morsy by the military approaches on July 3. 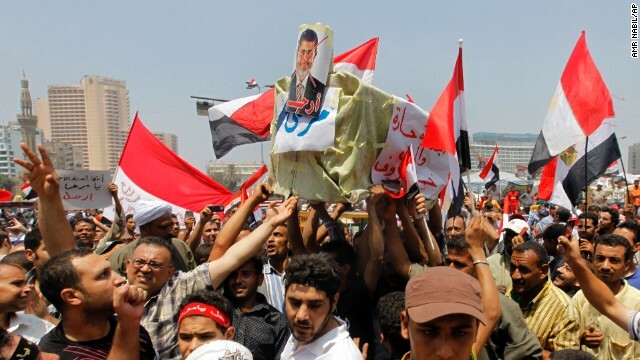 Opponents of Morsy shout slogans as they carry a symbolic coffin during a protest in Tahrir Square on July 3. 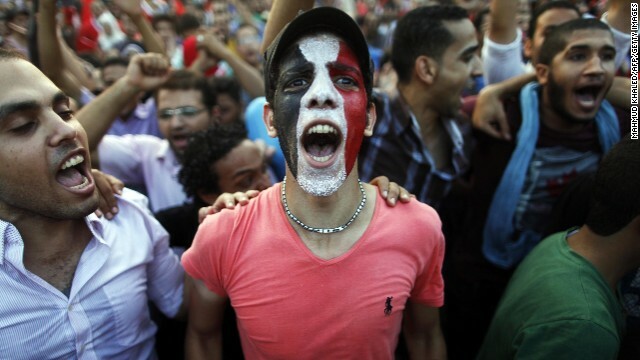 A protester shouts during a demonstration in Tahrir Square on July 3. 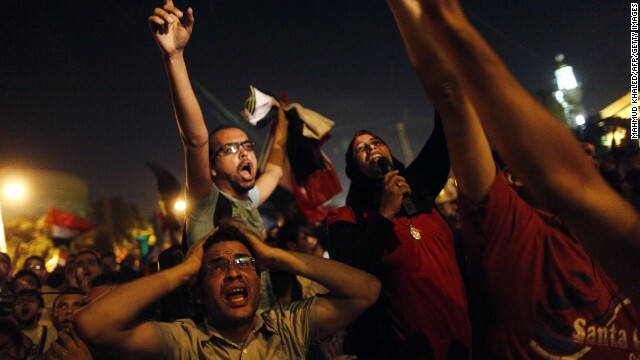 Protesters react after Morsy's speech in a street leading to the presidential palace in Cairo early on July 3. 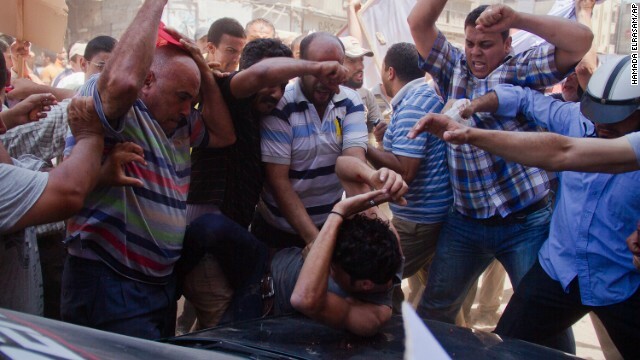 Morsy's angry opponents met head-on overnight with his supporters at Cairo University, leaving 23 people dead. A protester runs past a fire raging during clashes in Giza, Egypt, early on July 3. 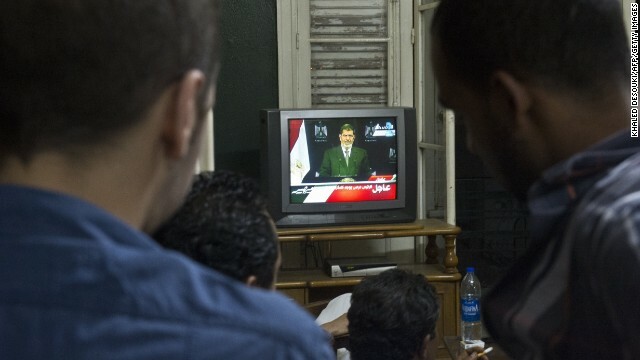 People watch Morsy on television in Cairo on Tuesday, July 2. 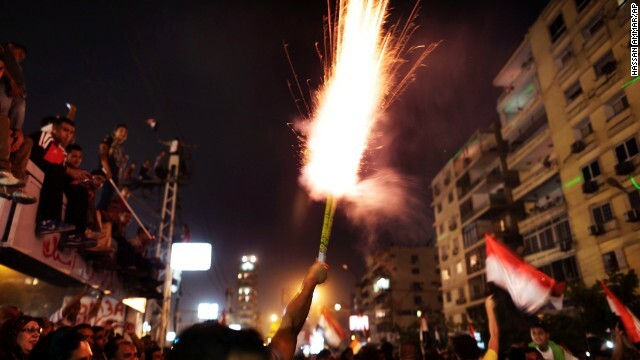 Fireworks go off as protesters gather in the streets outside the presidential palace in Cairo on July 2. 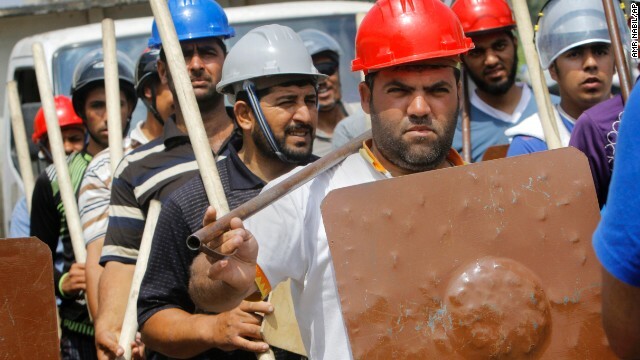 Supporters of President Morsy hold sticks and wear protective gear during training outside a mosque in Cairo on July 2. 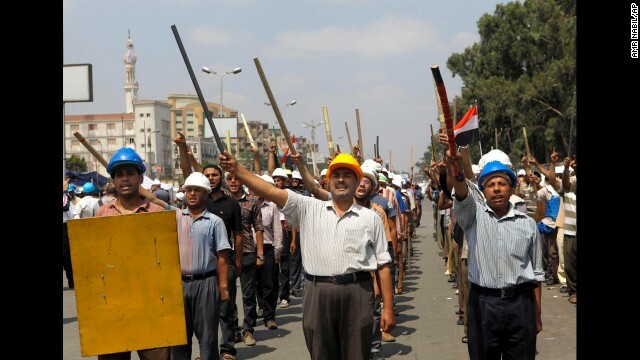 Morsy supporters march in formation in Cairo on July 2. 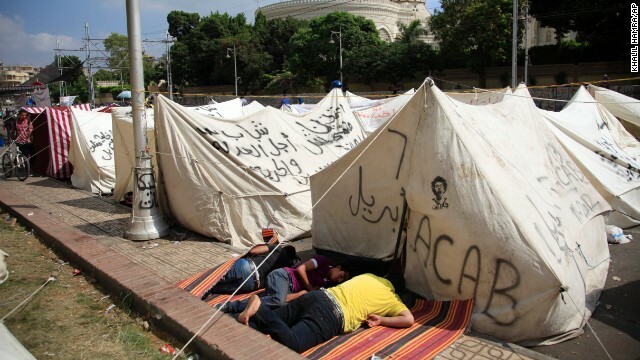 Opponents of Morsy camp out as they protest outside the presidential palace in Cairo on July 2. 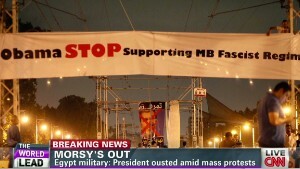 Egyptians shout slogans against Morsy in Cairo on Monday, July 1. A protester lights a flare as hundreds of thousands of demonstrators gather in Cairo's landmark Tahrir Square on July 1 during a protest calling for the ouster of Morsy. 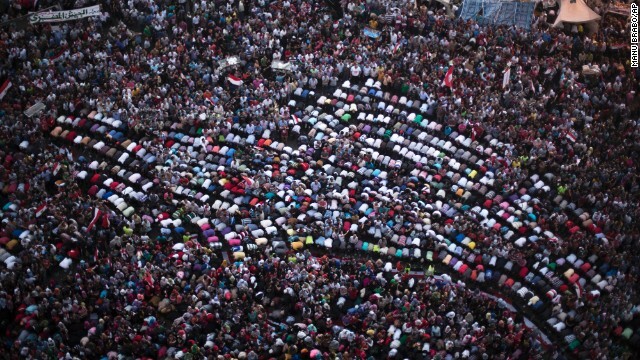 Protesters pray during a demonstration against Morsy in Cairo's Tahrir Square on Monday, July 1. 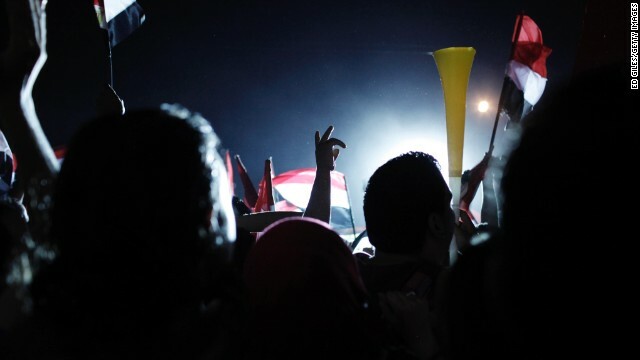 Pro- and anti-government demonstrations have spread around the country surrounding the one-year mark of Morsy coming into office on Sunday, June 30. Egyptian protesters shout slogans and wave national flags during a demonstration against President Mohamed Morsy in Tahrir Square in Cairo on July 1. 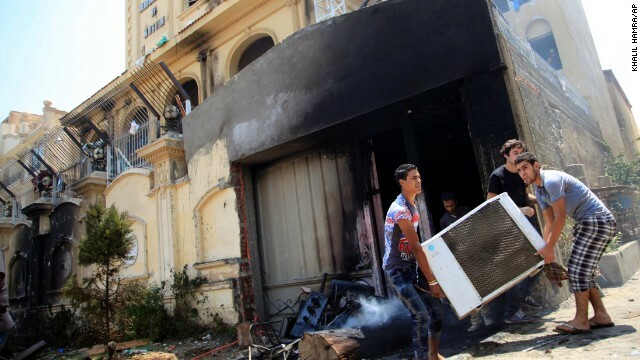 Egyptian protesters ransack the Muslim Brotherhood headquarters in the Muqatam district in Cairo on July 1. 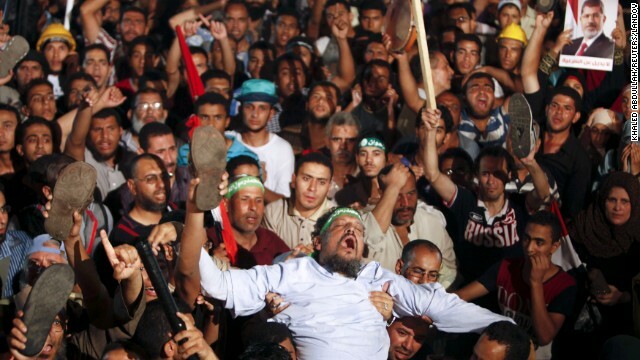 Protesters stormed and ransacked the headquarters of Morsy's Muslim Brotherhood group early Monday. 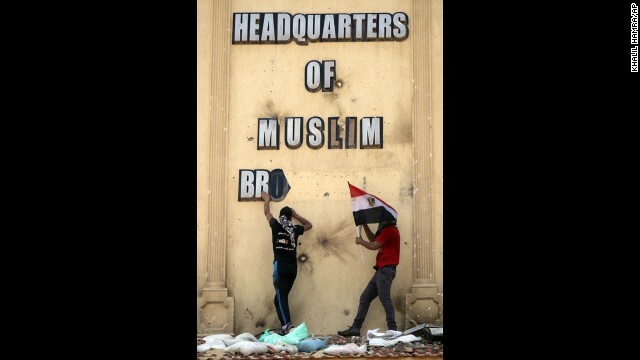 Egyptian protesters ransack the Muslim Brotherhood headquarters in Cairo on July 1. 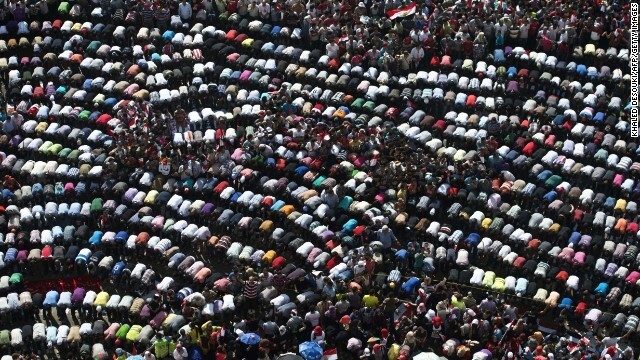 Thousands of opponents of Egyptian President Morsy pray during a protest calling for his ouster on Sunday, June 30. 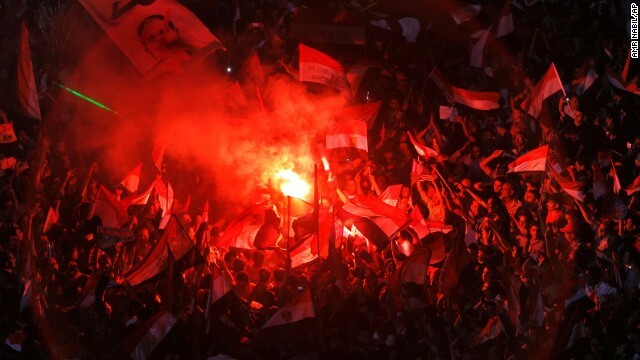 On the first anniversary of his inauguration, Morsy's Islamist supporters vow to defend his legitimacy to the end. Protesters stormed the main headquarters of the Muslim Brotherhood in Cairo, the party that Morsy led before his election, and set it on fire on June 30. Morsy's opponents say his policies are to blame for a breakdown in law and order, for an economy that's gone south, and for a gas shortage that has Egyptians waiting at the pumps for hours. 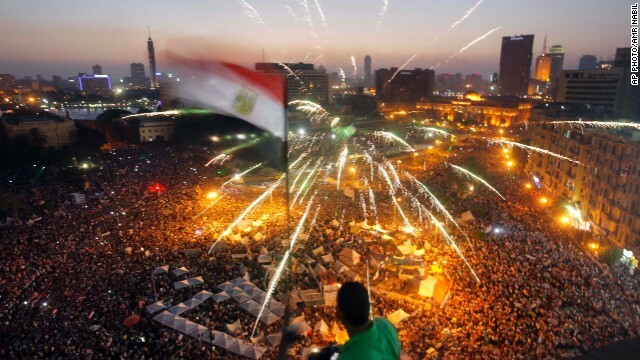 Here, protestors fill the streets of Cairo on June 30. 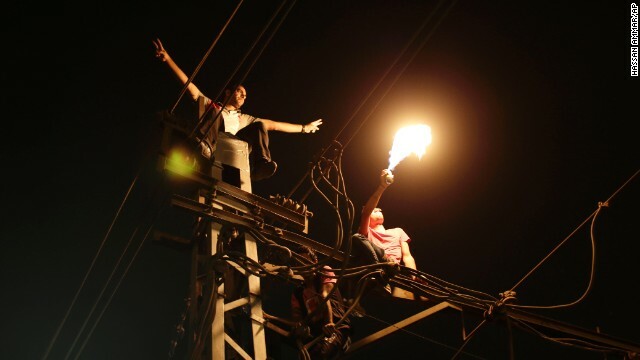 Protesters sit on top of a power pole as they chant slogans against Morsy outside the presidential palace in Cairo on June 30. "Egypt is on the brink of a volcano," government-run newspaper Al-Akhbar said. 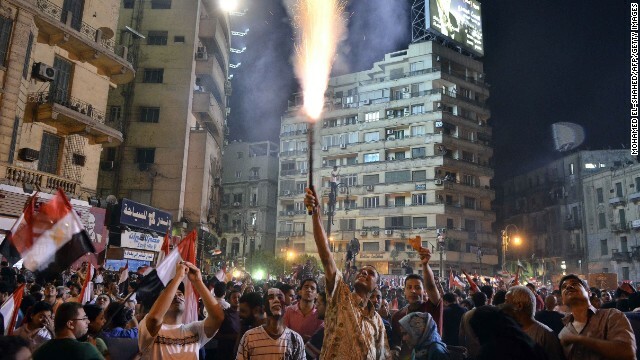 Protesters set off fireworks on June 30 outside the presidential palace. Protesters wave national flags and a red card in Arabic reading "leave" in Tahrir Square during the June 30 demonstrations against Morsy. 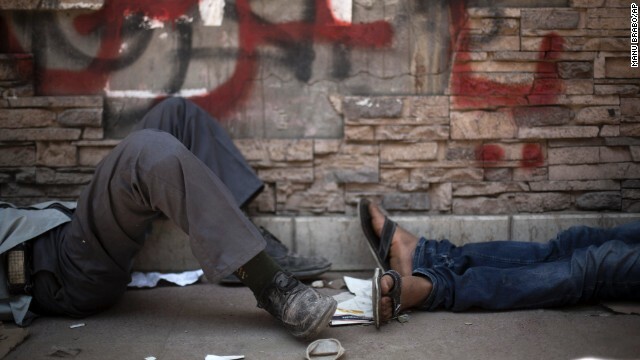 Protesters take a rest near Tahrir Square on June 30. 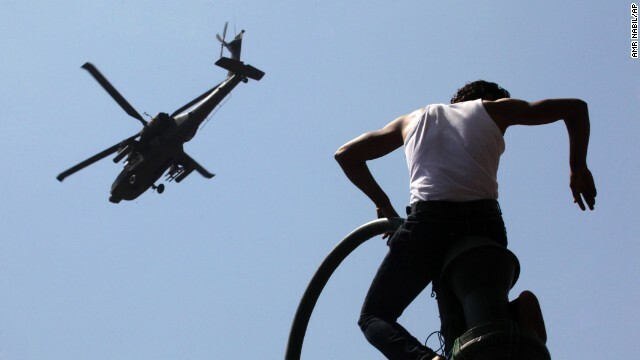 A protester watches an Apache helicopter as it flies over Tahrir Square on June 30. Morsy's opponents stood their ground in the square, where protests two years ago helped topple Hosni Mubarak's 29-year rule. The demonstrators say they collected 17 million signatures -- roughly 4 million more than what won Morsy the presidency -- and all of them call for Morsy to go. 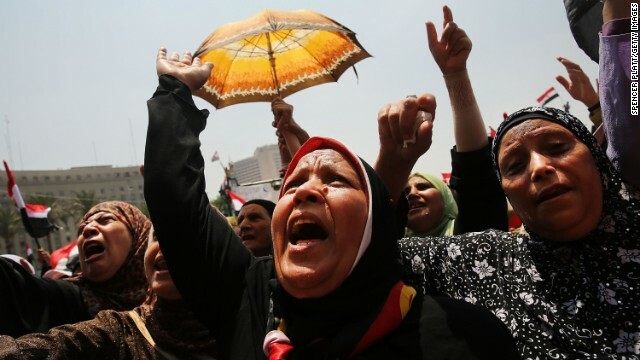 An Egyptian protester chants slogans during the June 30 rally. 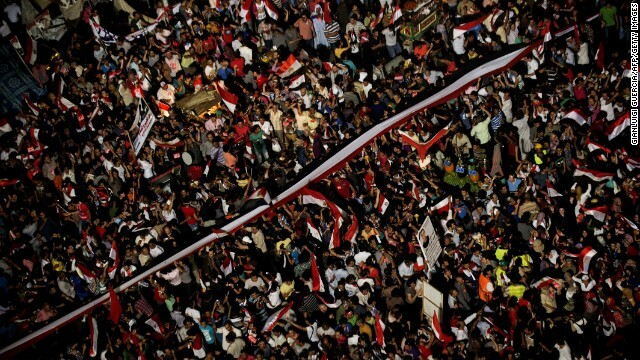 Hundreds of thousands of Morsy opponents chant outside the presidential palace on June 30. 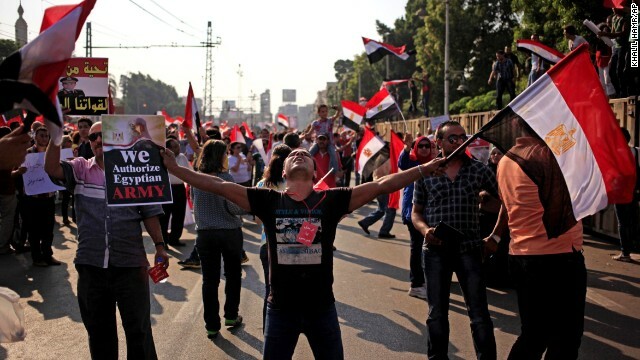 Morsy opponents protest outside the presidential palace in Cairo on June 30. 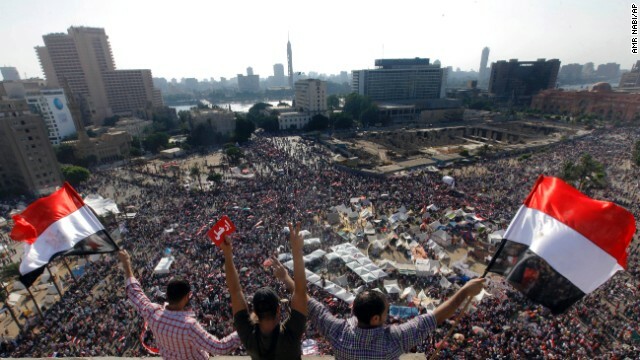 Thousands of Egyptian protesters gather in Tahrir Square on June 30. Morsy opponents wave a giant national flag outside the presidential palace on Saturday, June 29. 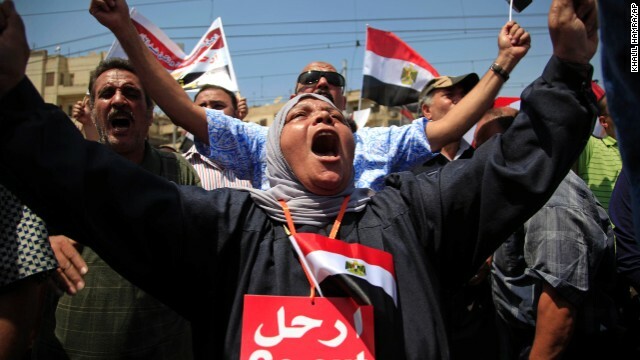 Supporters of the president shout slogans at the opposition near a mosque in Cairo on June 29. "We're not leaving, and the president is staying," one supporter told CNN. "We believe in democracy. If people don't like him, they can vote him out in three years." 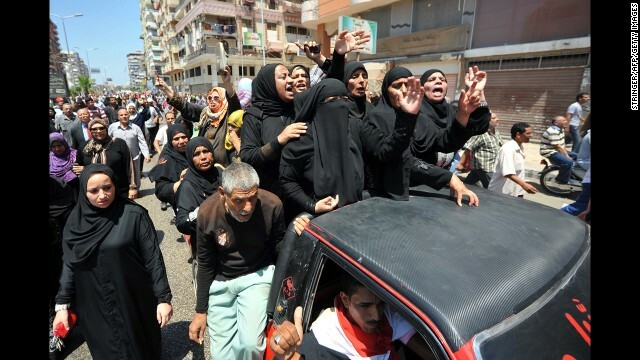 Mourners shout slogans during journalist Salah Hassan's funeral on June 29 in Port Said. 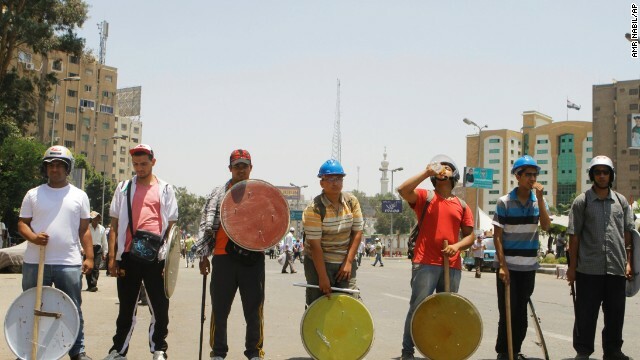 Morsy supporters, armed with sticks and shields, stand guard at their protest site in Cairo on June 29. 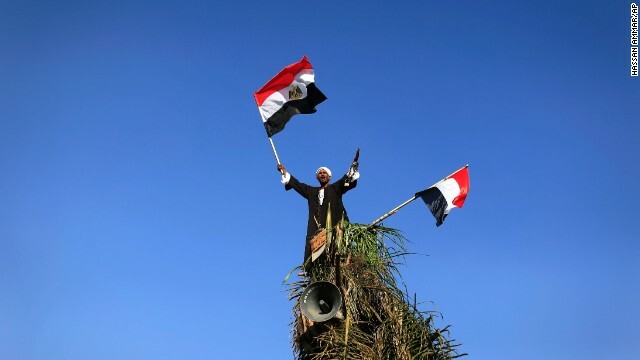 A protester waves a national flag over Tahrir Square on Friday, June 28. 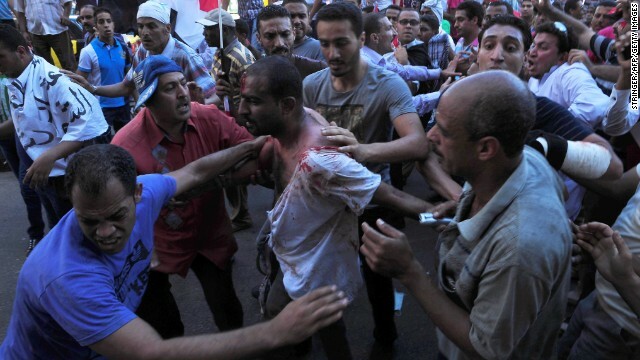 Egyptians help a wounded man following clashes between Morsy's supporters and opponents in Alexandria on June 28. 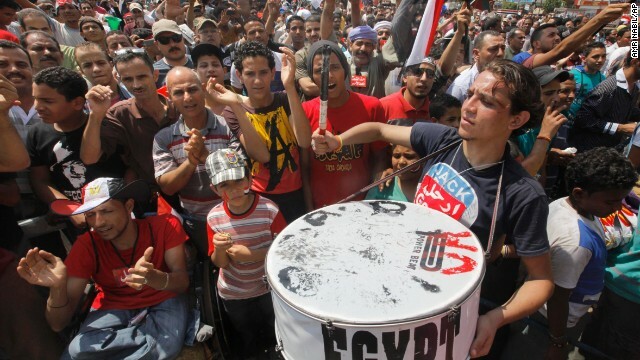 Morsy supporters demonstrate in Cairo on June 28. 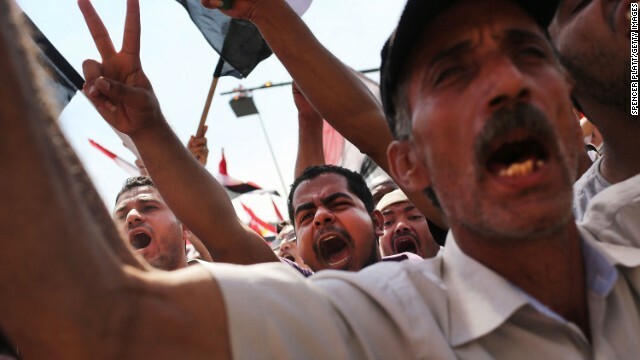 Protests also erupted in Suez, Sharqia, El Monofia and Gharbiya, the state-run Ahram news agency said. And in the port city of Alexandria, so many people turned out that traffic virtually came to a standstill. 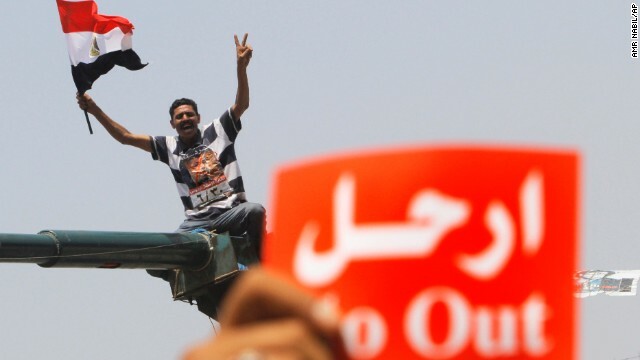 A Morsy opponent waves Egyptian flags during a protest outside the Egyptian Defense Ministry in Cairo on June 28. Thousands of Muslim Brotherhood supporters conduct Friday prayers in front of a Cairo mosque before the start of a sit-in for Morsy on June 28. 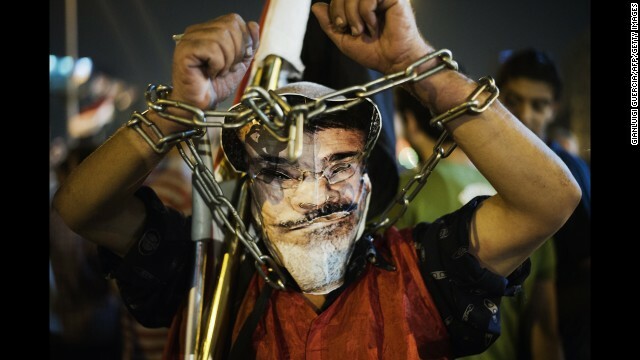 A chained protester wearing a picture of Morsy participates in an anti-government protest in Tahrir Square on Wednesday, June 26. 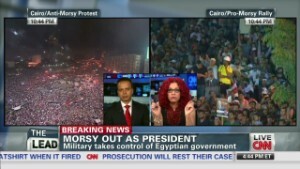 Cairo (CNN) -- Egypt's military toppled the country's first democratically elected president Wednesday night and reportedly put him under house arrest while rounding up some of his top supporters even as the deposed Mohamed Morsy insisted that he remains the country's legitimate leader. Hundreds of thousands of people took to the streets across Egypt over the military's actions that were decried by Morsy's supporters as a "coup" and celebrated as a "correction" by his opponents. 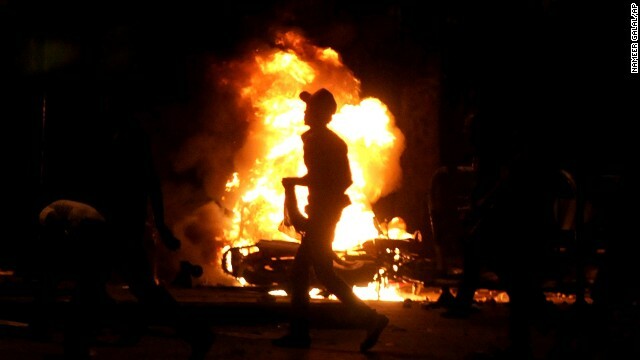 At least eight people were killed and more than 340 wounded in sporadic violence that at times pitted Morsy's supporters against the opposition and the military. 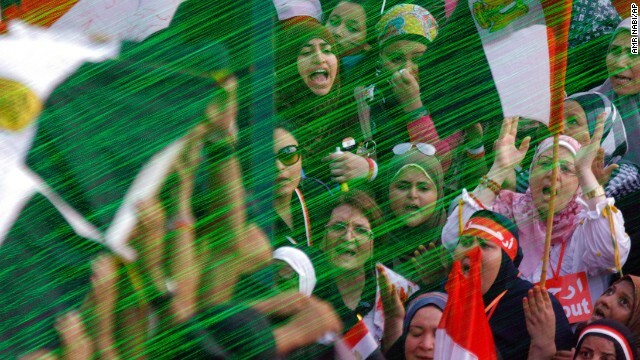 What comes next in Egypt? Morsy "did not achieve the goals of the people" and failed to meet the generals' demands that he share power with his opposition, Egypt's top military officer, Gen. Abdel-Fatah El-Sisi, said in a televised speech to the nation. Adly Mansour, head of the country's Supreme Constitutional Court, will replace Morsy as Egypt's interim president, El-Sisi said. Mansour was expected to be sworn in on Thursday. 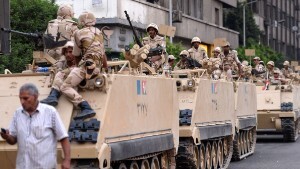 The military has not publicly commented on Morsy's whereabouts. 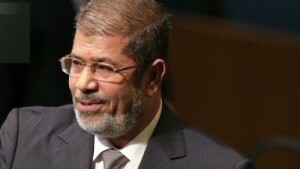 But Muslim Brotherhood spokesman Gehad El-Haddad told CNN the deposed president was under "house arrest" at the presidential Republican Guard headquarters in Cairo. 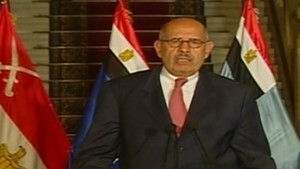 He said some members of Morsy's inner circle have also put under house arrest. The country's constitution has been suspended, and Mansour will "establish a government that is a strong and diverse," said El-Sisi, head of the country's armed forces. New parliamentary elections will be held, and Mansour will have the power to issue constitutional declarations in the meantime, he said. El-Sisi said the military was fulfilling its "historic responsibility" to protect the country by ousting Morsy, a Western-educated Islamist elected a year ago. Morsy remained defiant and insisted he was Egypt's proper president. "The world is looking at us today," he said in a taped statement delivered to the Arabic satellite network Al Jazeera. "We by ourselves can bypass the obstacles. We, the sons of Egypt, the sons of this country -- this is the will of the people and cannot be canceled." Shortly after Morsy's statement aired, Al Jazeera reported its Cairo studios were raided during a live broadcast on Wednesday and its presenter, guests and producers arrested. The Muslim Brotherhood, the long-repressed political movement that propelled Morsy to office, said its broadcast outlets had been shut down. 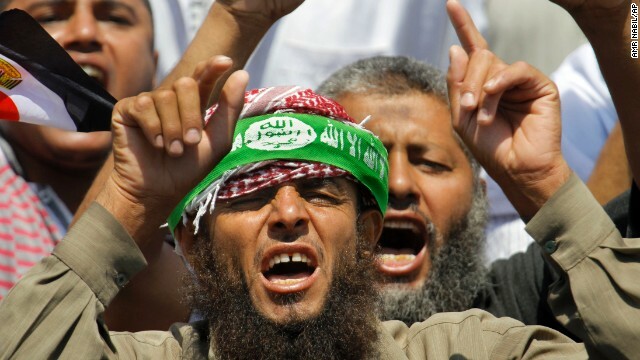 The state-run Middle East News Agency said the two top leaders of the Muslim Brotherhood's political party had been taken into custody, and another state-run outlet, the newspaper Al-Ahram, said another 300 were being sought by police. 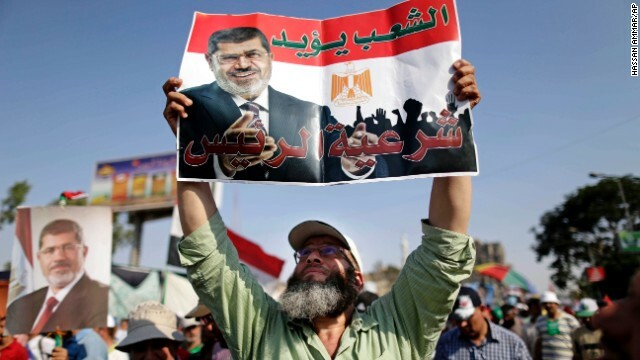 El-Haddad told CNN that he has been told hundreds of names have been put on an "arrest list" but couldn't confirm any arrests beyond those of the Muslim Brotherhood's Freedom and Justice Party chief, Saad el-Katatni, and its deputy, Rashad Al-Bayoumi. 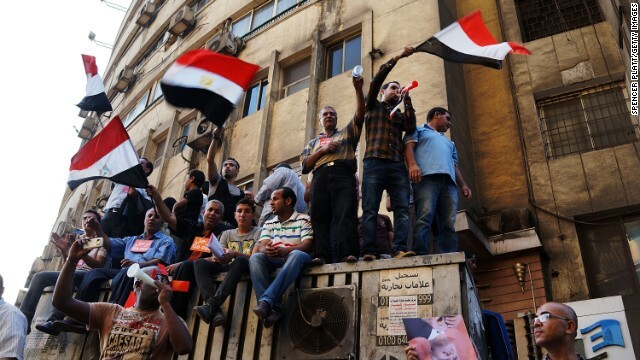 Morsy said he remains open to negotiations and dialogue, and he called on supporters to demonstrate peacefully. 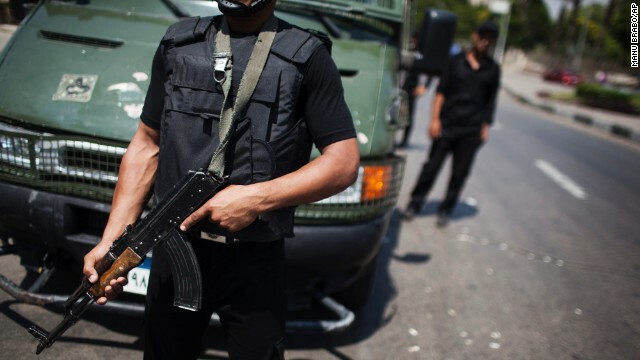 But at least eight people were killed and more than 340 wounded in clashes around the country on Wednesday, Health Minister Dr. Mohamed Mustafa Hamid told Al-Ahram. 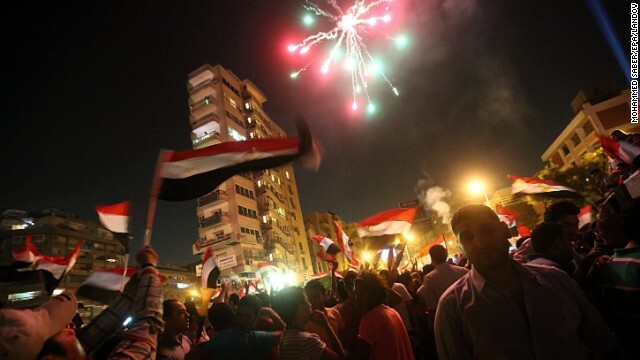 Morsy opponents who packed Tahrir Square, now the epicenter of two Egyptian upheavals, erupted in jubilation and fireworks when El-Sisi made his announcement. 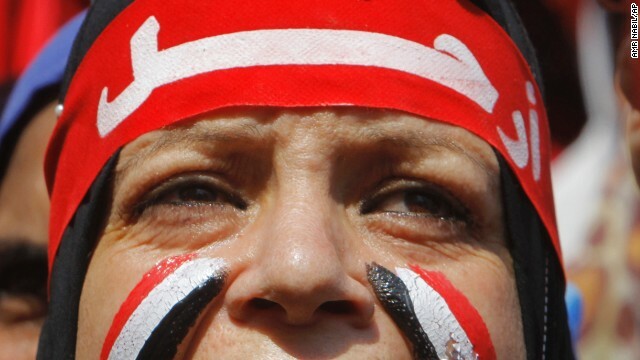 "This is a united people of Egypt," anti-Morsy organizer Ahmed el Hawary said. "Mohamed Morsy has actually succeeded in uniting the people, after two years that we were totally against each other ... Mohamed Morsy, with his bad management, with his risking all the lives of Egypt, brought all Egyptians back together to be facing again their future, hand in hand." But Abdoul Mawgoud Dardery, a former member of parliament from the Morsy-allied Freedom and Justice Party, called that "ridiculous." 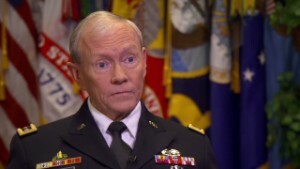 "I don't know how can anyone with common sense support a military coup in a democracy," he said. Egyptians "will never recognize a coup d'etat," he said. And across the Nile River from Tahrir Square, Morsy supporters chanted chanted "Down with military rule" and "The square has a million martyrs." 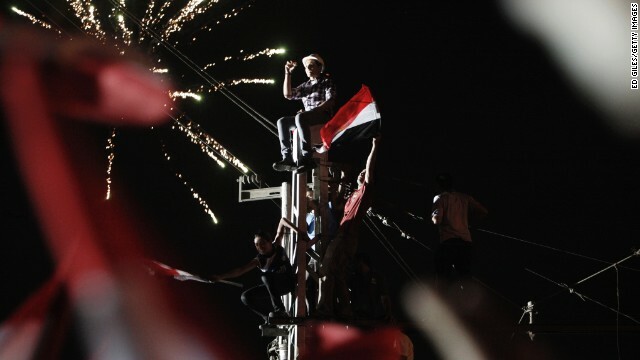 Before Wednesday night's announcement, troops moved into key positions around the capital, closing off a bridge over the Nile and surrounding Rabaa Adawya Square, where Morsy's supporters were gathered. Morsy was elected president in June 2012. But his approval ratings have plummeted as his government has failed to keep order or revive Egypt's economy. The chaos, including open sexual assaults on women in Egypt's streets, has driven away tourists and investors, while opponents say Morsy's rule was increasingly authoritarian. Mohamed ElBaradei, the former head of the International Atomic Energy Agency and a leading opposition figure, said the plans announced Wednesday were "a correction for the way of the revolution" that drove Hosni Mubarak from office in 2011. "The road map guarantees achieving the principal demand of the Egyptian people -- having early presidential elections through an interim period through which the constitution will be amended," he said. "So all of us build it together and agree on a democratic constitution, so we can guarantee our freedoms." The Egyptian military dominated the country for six decades and took direct power for a year and a half after Mubarak's ouster. On Monday, after a previous demand that Morsy offer concessions to the opposition, it gave him 48 hours to order reforms. As the hour of the ultimatum neared, Morsy offered to form an interim coalition government to oversee parliamentary elections and revise the constitution that was enacted in January. "One of the mistakes I cannot accept -- as the president of all Egyptians -- is to side with one party over another, or to present the scene from one side only. To be fair, we need to listen to the voice of people in all squares," he said. Shortly after the deadline, Morsy aide Essam El Haddad said in a Facebook posting that a coup was under way and warned that the generals risked bloodshed by moving against Morsy. "In a democracy, there are simple consequences for the situation we see in Egypt: The president loses the next election or his party gets penalized in the upcoming parliamentary elections. Anything else is mob rule," he wrote. But Naguib Abadeer, a member of the opposition Free Egyptians Party, said what was under way "is not by any means a military coup. This is a revolution." Morsy lost his legitimacy in November, when he declared courts could not review his decrees and ousted the country's prosecutor-general, Abadeer said. And the Muslim Brotherhood "hijacked the vote of the people" by running on a religious platform, "so these were not democratic elections," he said. In Washington, President Barack Obama said the United States is "deeply concerned" by Morsy's removal and the suspension of the constitution. 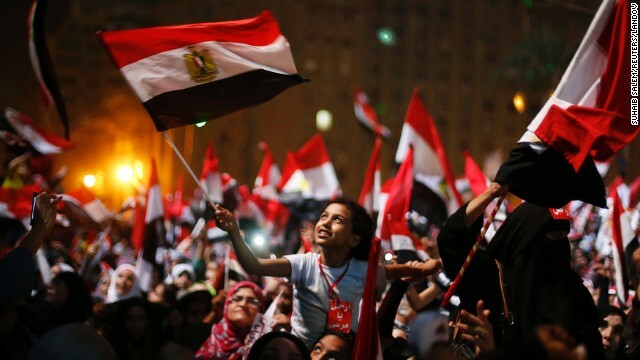 Analysis: Victory, or 'a sad day' for Egypt? Washington has supplied Egypt's military with tens of billions in support and equipment over more than 30 years, and under U.S. law, that support could be cut off after a coup -- a term his White House statement avoided. "The United States does not support particular individuals or political parties, but we are committed to the democratic process and respect for the rule of law," Obama said. He said he had ordered "the relevant departments and agencies" to study what American law would mean for U.S. aid and urged the generals to hand power back to an elected government 'as soon as possible." In the wake of Morsy's ouster, U.N. Secretary-General Ban Ki-moon echoed Obama's call for an immediate return to civilian rule. He appealed for "calm, non-violence, dialogue and restraint." 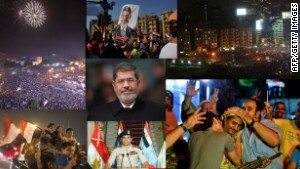 Wednesday's events capped days of massive demonstrations for and against Morsy. 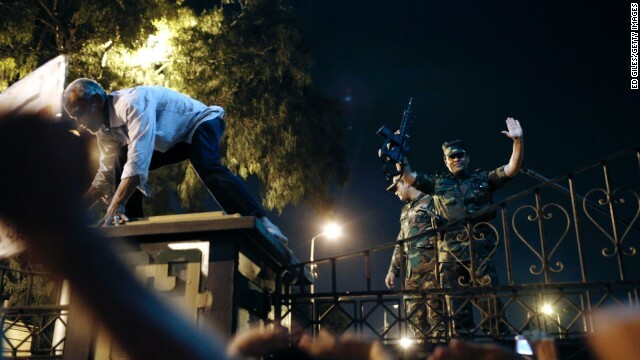 The demonstrations were largely peaceful, but health officials said 23 people died in clashes overnight at Cairo University, Al-Ahram reported. 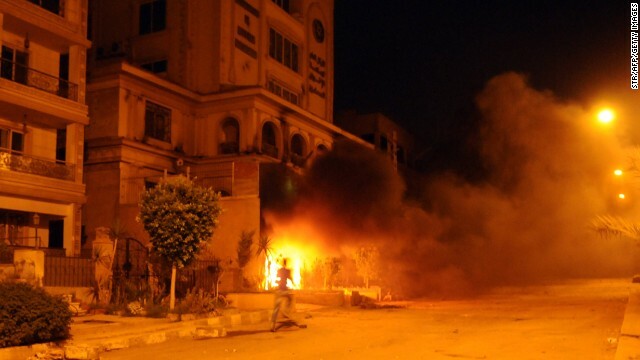 Anti-Morsy demonstrators have ransacked Muslim Brotherhood offices around Egypt in the past several days. Obama called Morsy on Monday to urge him to take a less-rigid stance toward his opponents, telling his Egyptian counterpart "that democracy is about more than elections," a White House statement said. But the State Department denied that Obama had urged Morsy to call early elections, as a senior administration official had said Tuesday. Morsy's opposition said it had collected more than 20 million signatures on a petition to remove him -- millions more than the number who voted Morsy into the presidency. Tuesday night, Morsy had vowed that he would not comply with the ultimatum and demanded that the armed forces stand down, even "if the price of upholding this legitimacy is my own blood." 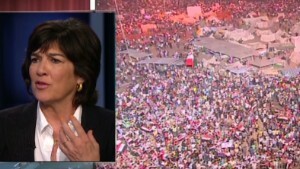 But political analyst Hisham Kassem told CNN the speech was Morsy's "final bluff." "He was trying to give the impression 'We are there in numbers, and we are going to retaliate, we are not going to allow this to happen.' However, with almost 24 hours since his message, it's clear his supporters will not dare challenge the crowds on the street," Kassem said. 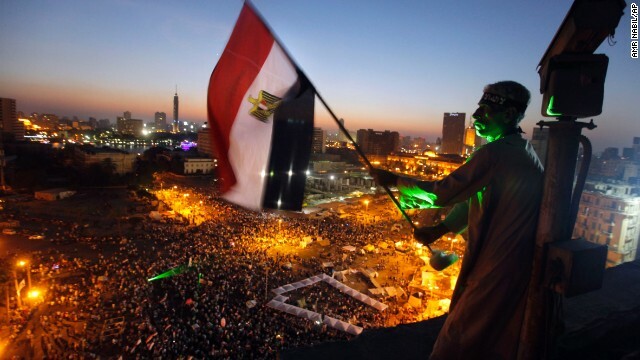 And faced with the throngs that filled Cairo's Tahrir Square, "the military had to intervene. 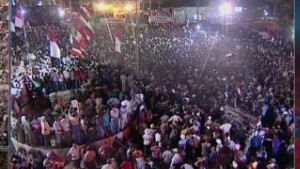 Otherwise this crowd was going to get Morsy from his palace." CNN spells the deposed president's name with a 'y' in accordance with what his spokesman said is his personal preference, his own e-mail and the country's Foreign Ministry. Should tourists still visit Egypt? CNN's Hamdi Alkhshali, Ivan Watson, Jill Dougherty, Dan Lothian, Amir Ahmed, Ben Brumfield, Ali Younes, Chelsea J. Carter, Schams Elwazer, Elise Labott, Ian Lee, Housam Ahmed and Salma Abdelaziz contributed to this report.